Stainless fermenters inside Riggs Beer Company. ID: 1665 ~ Creator: Chrissy O'Grady ~ Date: Sunday, April 22, 2018 at 4:00 pm. 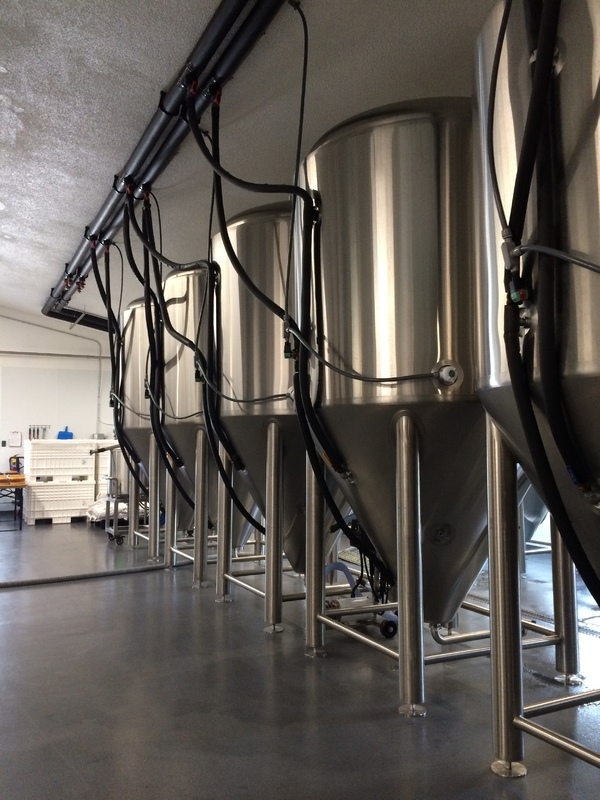 Large stainless fermenters inside Riggs Beer Company brewing room.